The recent trend in donuts related food has gone far crazy. I guess by now every one has seen or heard the hybrid between croissant and donut, the cronut. In the US, people lined up for long time to just get a taste of them. In Adelaide, we have several local bakeries which do the hybrid now, including Jenny’s Bakery, The Brasserie @ Hilton Adelaide and the Public. I still haven’t got a chance to pop down these places to have a taste of the ever-so-popular cronuts. Yesterday, on Jamie Oliver’s Food Tube, I event saw this crazy combination of donuts with bacon :S. Oh well, I still prefer to have a good old class donut instead. Some readers probably know that I like the Krispy Kreme type of donuts, but they are actually too sweet for me. I had Dreamy Donuts before and liked them but they are located in the airport. Later last year, my wife’s best girlfriend came to visit us and brought in whole lots of donuts from a new retailer in the city cross. Well, it’s not that new but because I don’t have sweet tooth, I never keep an eye out on new patisseries. 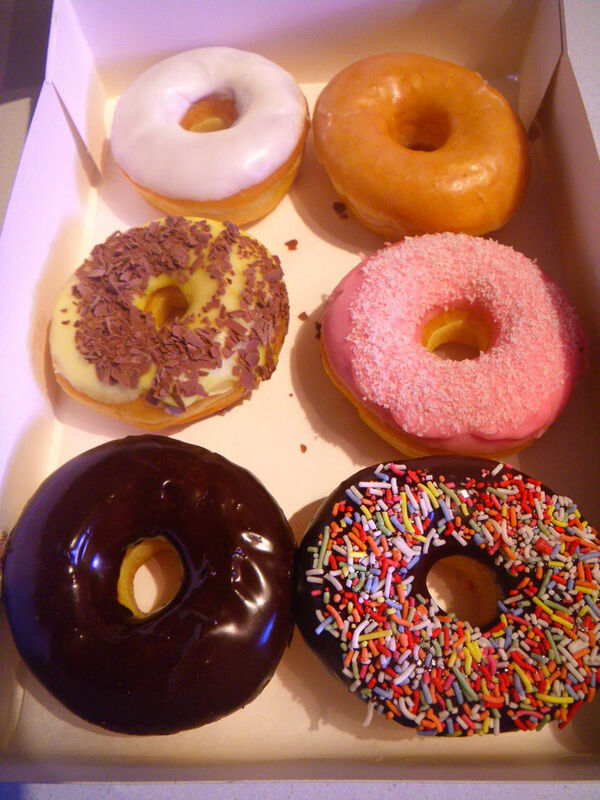 Anyway, I liked these donuts. 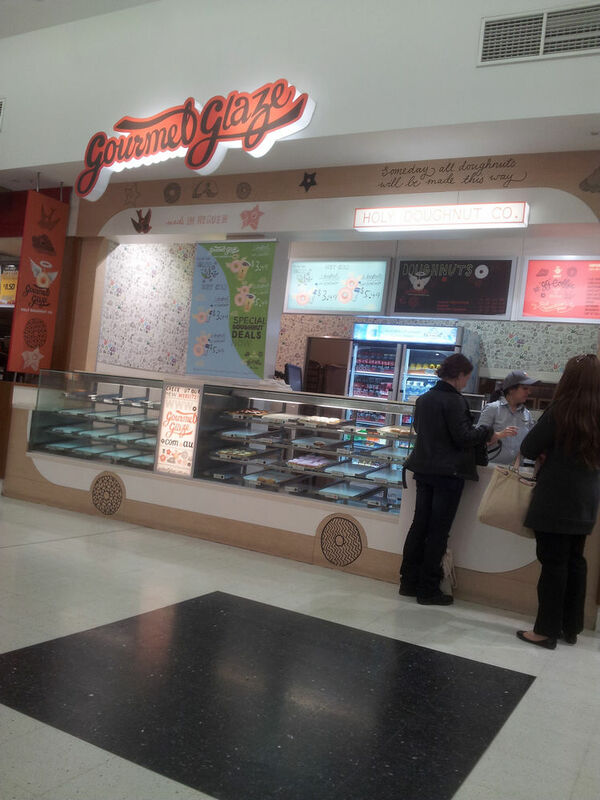 The shop is located in the city cross arcade on Rundle Mall and is named Gourmet Glaze Donuts. The busy atmosphere on Rundle Mall means every business would get a share of the huge amounts of people. In fact, the donuts at GG goes very quickly. When I was there around 1pm, everything has almost gone. The friendly lady at the counter served me and asked me whether I had their products before. I said yes but I wanted to try more flavours. She explained each choice patiently. Good customer service! 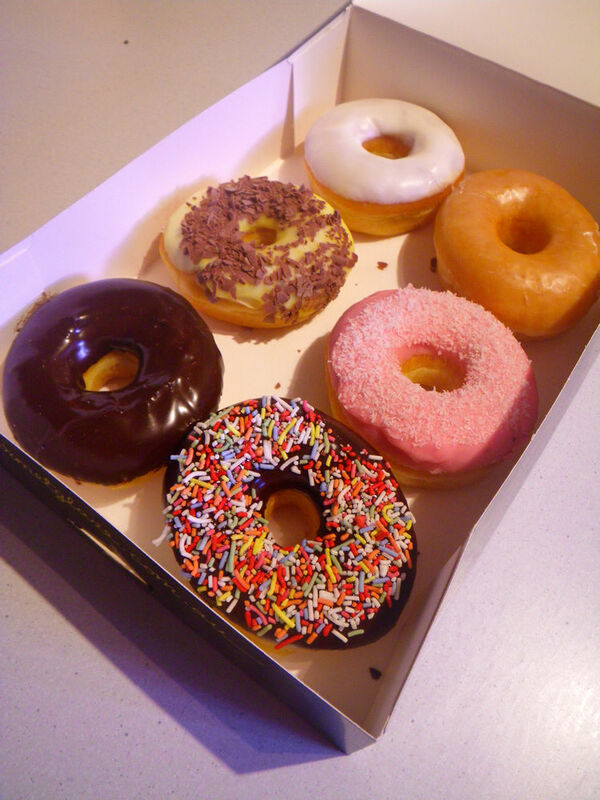 GG’s donuts are made in 19 different flavours and having three outlets in Adelaide, they donate their leftover donuts to various charities. Now, it comes to the tough question, the taste. To taste a donut, I normally try the plain/original one first to get the feeling of the dough and then move onto the flavoured ones. 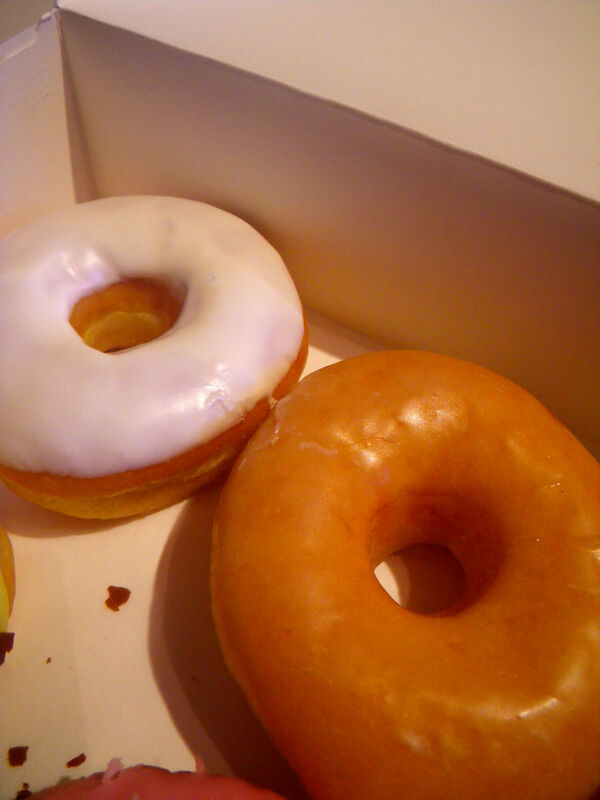 The dough of GG is similar to Krispy Kreme and is the type that I like. It is soft, light and fluffy and the good thing is, if you observe it carefully, after biting, the dough’s pumped up back to the original shape very quickly. This indicates a good quality dough. 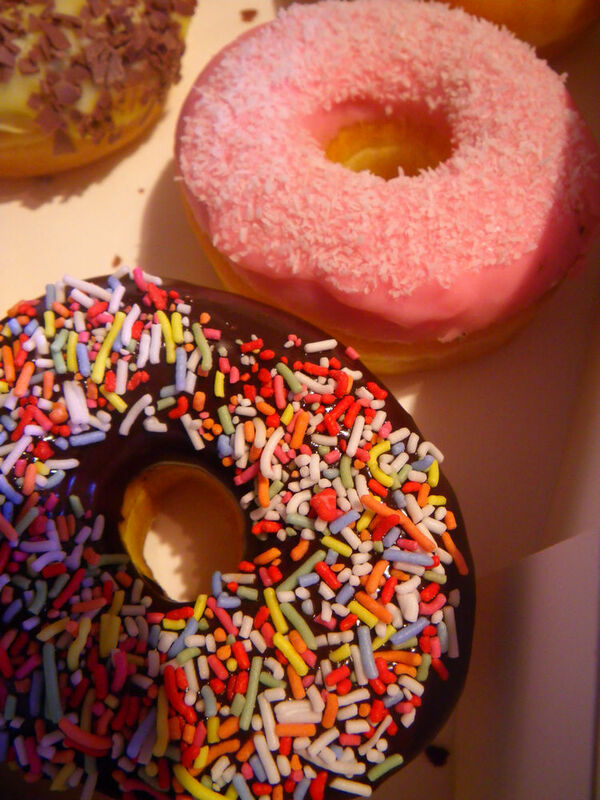 The sweetness of these donuts were just right for a person like me who doesn’t like super sweet things. Krispy Kreme donuts were too sweet for me anyway. Flavour wise, the donuts tasted very good and each of them carried enough distinctive flavour of their variety which can make the mouth fragrant for a while. Enjoy with good coffee. G’day and thanks Xin, true! I did not know about Gourmet Glaze too! Perhaps there should be a cronut challenge WHO makes the best in Adelaide! I am STILL fascinated with how they are actually made! I am thinking to buy the cronuts available in the market and put a post up but the teaching semester will start soon. Hope I can get the post done before then. I guess they used the dough of croissant and shaped as donuts then flavoured as normal? I’ve visited Gourmet Glaze for a long time now. The used to have a larger shop front in the same arcade (CX) which faced Grenfell/Currie Street. A while ago they moved to the smaller tenancy. You describe them well and from my experience they are some of the best tasting around. 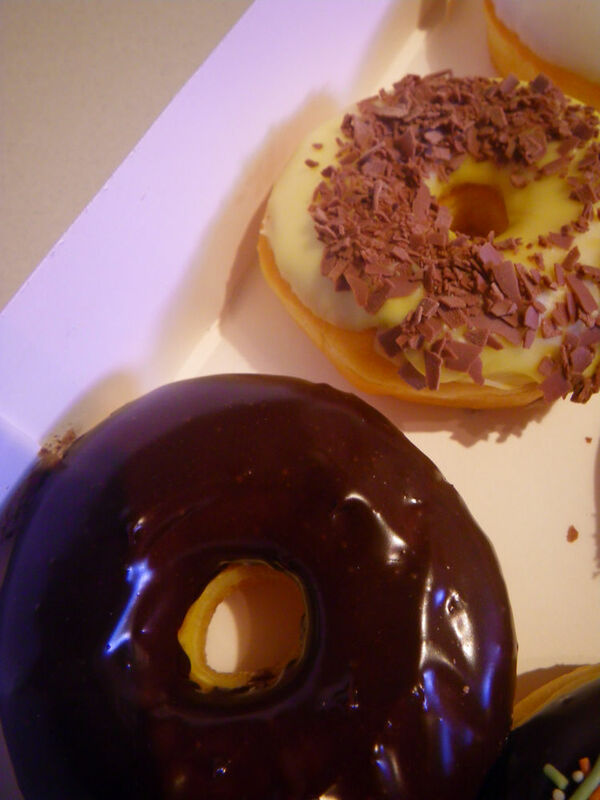 By coincidence I am putting up a post tonight on doughnuts. I also have a cronut recipe & i’m not afraid to use it. Very few ingredients but a lot of labour to create all those layers. wowo, good on ya. I am looking forward to reading the post now. Several days ago, you asked me about the sushi nori brand and I checked. It is Obento from coles that I am using. Forget the boring old Black Forest – go grab a 12 pack or 2 of these tasty moresels, will quickly become a rockstar. Ooh I had forgotten about these doughnuts! 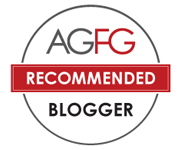 Good post – I might get some for work indeed! Do you have a post about your savoury salmon sushi cake?? Sounds delicious! !